Research from India’s transport ministry shows that as of 2015, 5.01 lakh accidents took place (up 2.5%) which resulted in 1.46 lakh deaths (up by 4.56%). 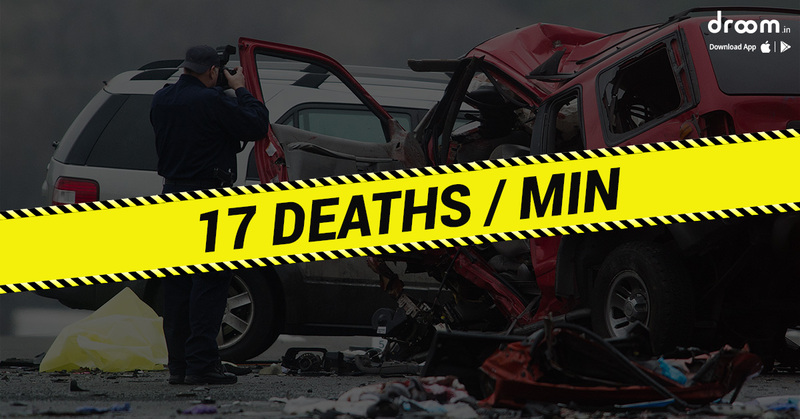 That is 1374 and 400 deaths a day which translates into 57 accidents and 17 deaths on an average of 60 minutes. Over the last decade over 1.2 million Indians have lost their lives due to automobile related mishaps. The data shows that young people are the most susceptible. 31% of all accidents happened to individuals between 15 and 29 years of age. Although after Munde’s death there was supposed to be a radical overhaul of the automobile infrastructure in the country, we instead see that the latest bill has reduced the fine for over-speeding from Rs. 15,000 to Rs. 2,000 for the first offence. Similarly, penalty for failure to comply with standards for road design, construction and maintenance was reduced from Rs. 10 lakh per person killed to Rs. 1 lakh. The bill also proposed a cap of Rs. 15 lakh for insurance claims towards death and disability caused by road accidents. The blatantly counter-intuitive direction the government chose to follow riled up trade unions of over 5 states and they have consistently been urging senior officials and the Prime Minister to take action. A supplementary survey by the WHO as part of their Global Road Safety Report, 2015 discloses data which differs by more than 46% from the statistics disclosed by the National Crime Records Bureau of India. According to the NCRB 141,000 individuals were killed but according to the WHO that number is closer to 200,000. At some point we will have to really think about the kind of transportation is the most appropriate for India or whether uncrossable superhighways are a convenient method to purge citizens that the state coincidentally has contempt for. If the latter is what we choose, at minimum we will go into it knowing that we are good at deflating numbers and sweeping the evidence under the proverbial carpet.